No one wants to deal with plumbing problems. But when you need a knowledgeable professional you can trust, call Aaron’s Plumbing in Lansing for full-service maintenance, repairs and emergency service, 24 hours a day. 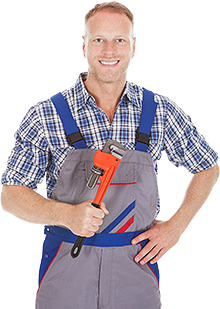 Whether it's a toilet repair, leaky sink, appliance installation, sewer/drain cleaning, or something more serious, Aaron’s Plumbing plumbers offer residential and commercial plumbing services that customers in our city have come to depend on for many, many years. Trusted and recommended since 2009, see why Aaron’s is the premier provider of plumbing and drain cleaning services in Lansing, MI. We stand by our estimates, guarantee our work and are ready to help 24/7. Call now and talk to a trained customer service representative who will handle your request quickly and schedule service at your convenience. For emergency requests, call (517) 321-8700. Otherwise, use this form and we will call to confirm.